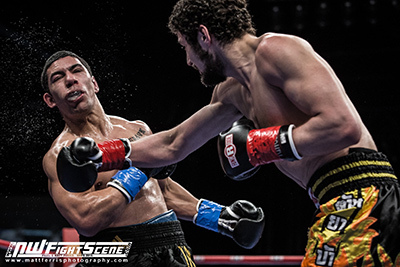 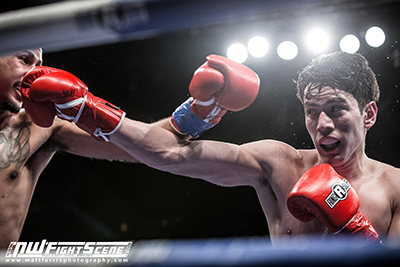 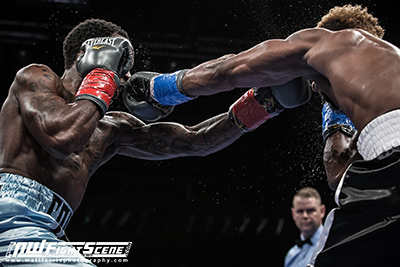 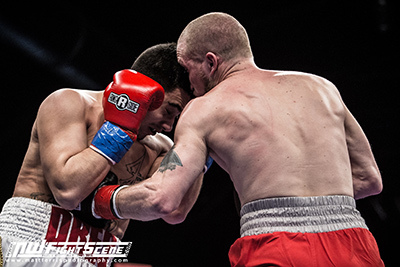 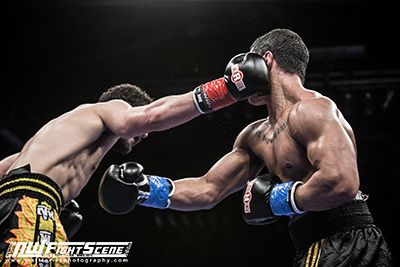 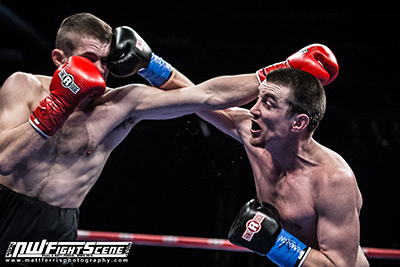 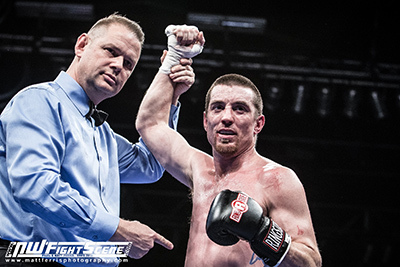 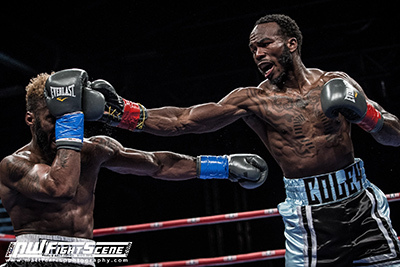 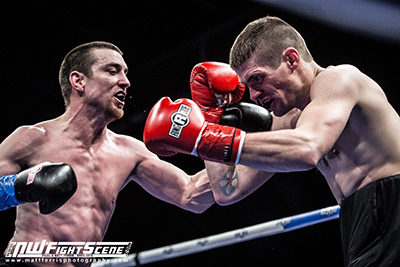 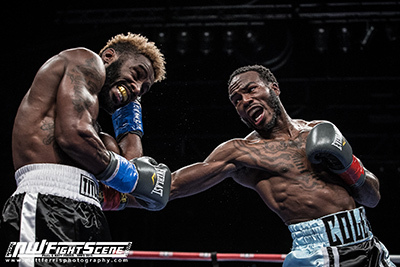 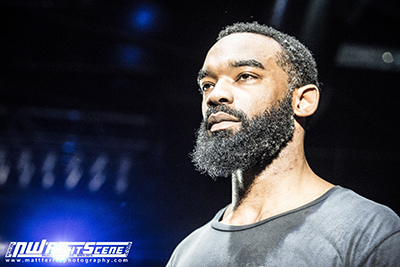 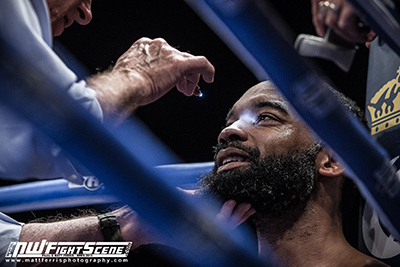 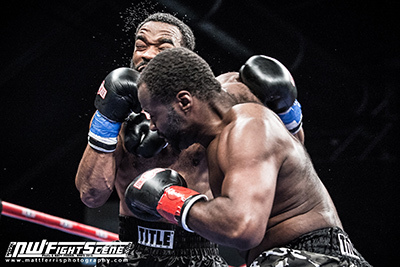 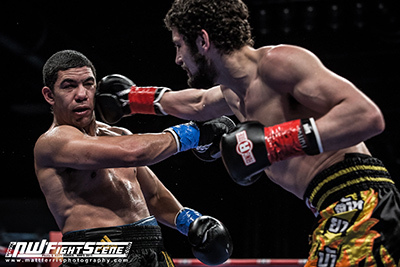 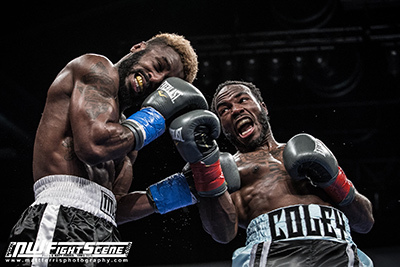 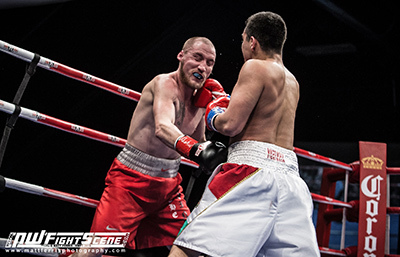 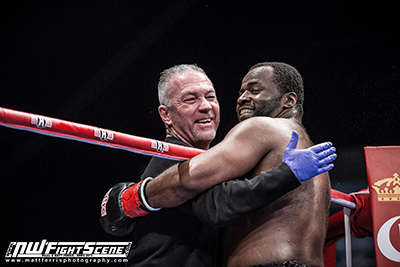 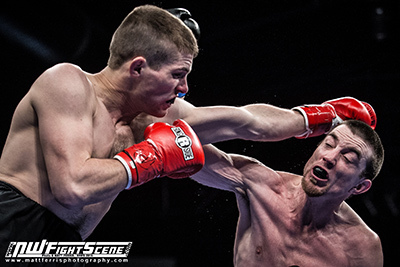 Brian Halquist Productions took over the Emerald Queen Casino I-5 Showroom for another great Battle at the Boat, the promotion’s 110th in the long-running pro-boxing series dating back to 1997. 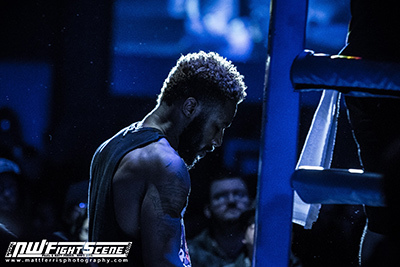 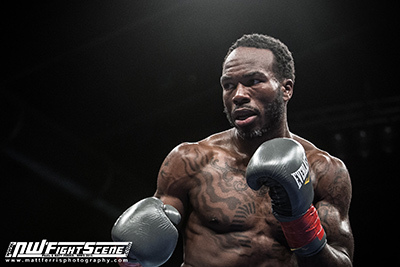 In the main event, a 157 lb 10-round catchweight bout featured 29 year old Dashon Johnson of Escondido taking on 26 year old Aaron Coley of Hayward CA. 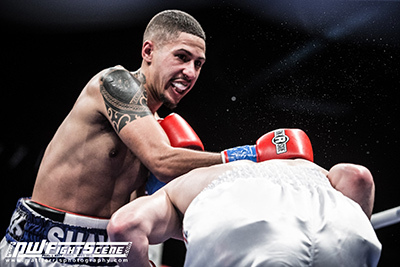 The fight would go the distance in a hard-fought battle, with Coley picking up his 14th pro win via unanimous decision 97-93, 97-93, 96-94. 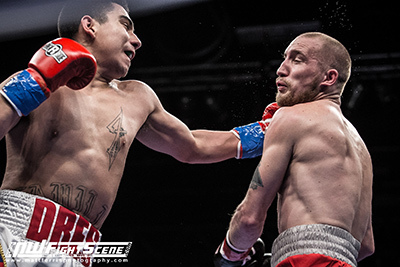 In the Semi-main event, Yakima’s Andres Reyes - a regular staple at the EQC having fought 7 times there since turning pro in 2014 - took on Spokane’s Jacob Szilasi of Spokane who was making his 2nd straight Battle at the Boat appearance. 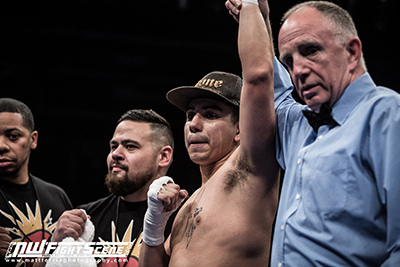 It was Reyes who came out the winnner, scoring a 2nd round TKO to improve his record to 6-2-1. 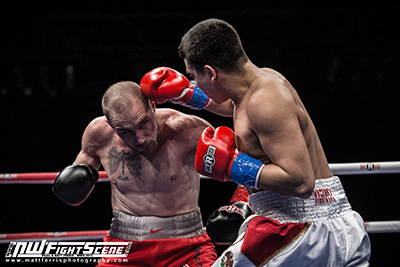 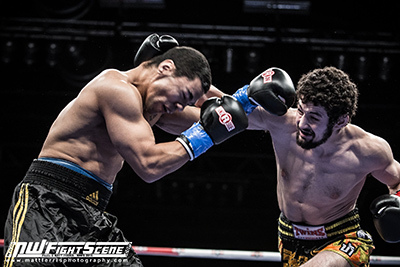 In a light heavyweight bout, Fife WA’s Cameron Sevilla-Rivera had the pro experience with 12 fights under his belt with 6 wins and 2 draws, while Vancouver BC’s Kian Heidari was making his debut. 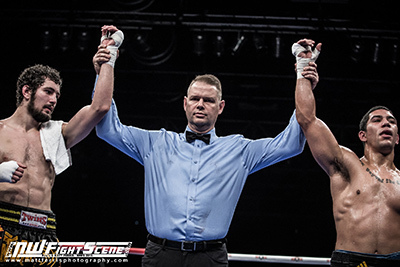 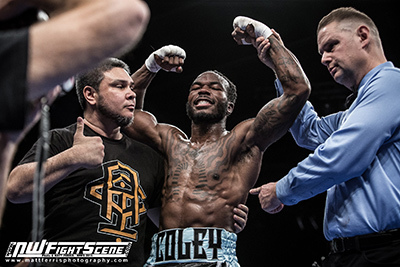 Both pugilists put on a show, punishing each other over 4 rounds, with the end result a split draw. 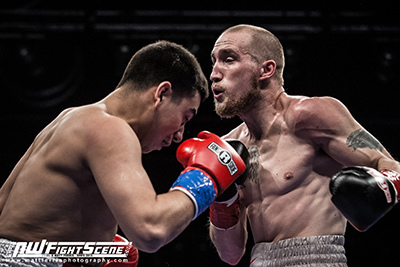 NW MMA veteran Zach “Skindog” Skinner of Olympia won his pro boxing debut via 3rd Rd TKO in a war with Tacoma’s Jesse Barich, also making his debut. 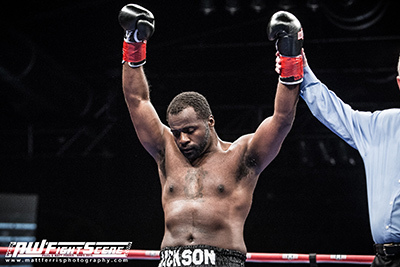 Cruiserweight Jon Jackson of Olympia WA improved his record to 3-0 with a 1st round TKO of debuting Kevin Roberson. 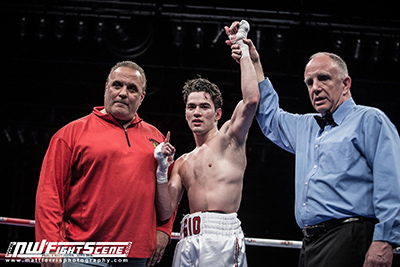 Chicago's GIovanni Cabrera-Mioletti bested Portland's Niko McFarland by unanimous judges decision to move his pro record to 6-0. 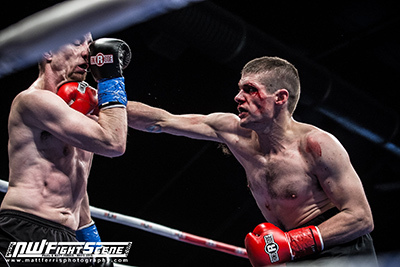 Battle at the Boat 111 is scheduled for June 3rd at the Emerald Queen Casino.